The Aquaglide Inversible is a giant lounge and playstation that can be used as a soaker or a lounging platform. In soaker mode, the interior mesh floor provides an open splash zone for active play or for cool, quiet lounging. Inverted, the mesh floor provides an airy platform for rest or active play. 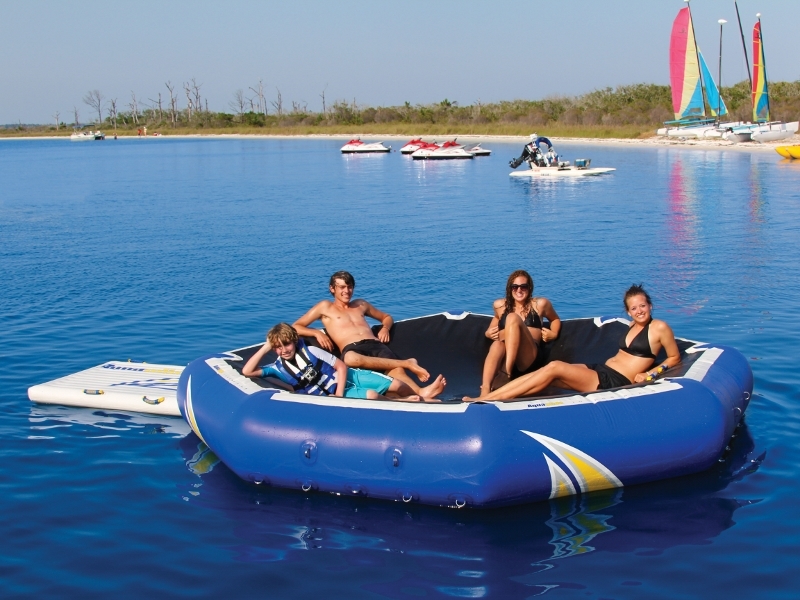 Can be used as a stand-alone item, or integrated into an aquapark in multiple configurations. Connect a Speedway at three stations to allow connection to other Aquaglide products like the Jungle Jim or connect a SwimStep for standalone use. For use with up to 8 people, 1000 lbs max. Easily inflated with a high speed inflator available separately. Shipping Dimensions: 23"L x 13"W x 30"H, 69 lbs. Attachments and Accessories for your Inversible!